A HOT Yoga, Pilates and Barre studio. A studio worthy of the whispers. Our beautiful first-floor listed bolt-hole away from the stresses and strains of everyday life has been designed to cocoon you in wellness. We have, it has to be said decided to up-the-ante with our teaching, our class choices, our décor and the facilities… because we believe that when you step away from your everyday life to relax and feel restored it should no longer be seen as an indulgence. We have a choice of 43 classes a week within our two mood-enhancing studios. There’s lots of variety, heated classes, courses for beginners and challenging classes for the advancing student. Our scheduled classes are now evolving into areas such as pre-natal, specific sessions for teens, adult ballet, mindfulness and meditation. We always close our classes 5 minutes before, thus allowing all our students to settle in. A cancellation charge of £5 will apply for late or no shows. We have installed over 1000 fibre-optic lights into the ceiling of our main studio, so you can lay amongst the stars and practice on our luxury Yoga mats with our very own collection of soothing soundtracks. An experience not just a studio. All members receive complimentary teas and fruit infused waters to lift your spirits in our relaxation room – ideal if you arrive early for your class or need time to adjust before leaving our sanctuary. 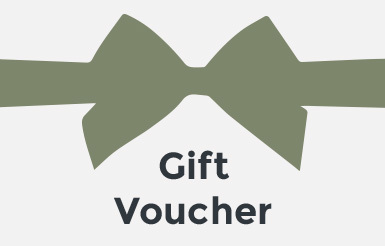 Gift Vouchers for your loved one. If you’re looking for a different idea for a gift, you’re in the right place. Stylishly presented, Ebb&Flow gift vouchers come postcard size with matching envelope, all tied with a ribbon ready to be sent out to your loved one. Contact the studio 01252 715933 if you would like the voucher posted to you. UK deliveries within five working days; international within 10 days. Free UK postage and packaging on all gift cards. Hip-Hop yoga, Yin for Adrenaline Junkies ? We are constantly uploading some great workshops to whet your appetite. Nutrition workshops, fun events – take a look..